Every subject has its required reading, and Computer Science is no different. As with any area of study, Computer Science has a history, various processes, and enough differing opinions to fill a library. For this list, we’ve found the Top 10 Must-Read Books for Computer Science Majors. The books on this list run the gamut, from biographies of industry legends, to book-length love letters to the earliest computers, to how-tos. While the books themselves vary dramatically, each book on this list is a classic, has remained a timeless addition to the constantly changing field of Computer Science, and reflect the love any successful Computer Science major should feel towards his chosen skill. As every busy college student knows, our lives are constantly being constrained by limited time and space — what should be accomplish in a day? What is okay to leave undone in a lifetime? How much messiness and disorganization is an acceptable amount? In Algorithms to Live By, author Brian Christian and cognitive scientist Tom Griffiths describe how simple, yet precise, algorithms like those used by computers can also untangle important human questions. In fascinating chapter after fascinating chapter, the two explain everything from how to have better gut feelings, to knowing when to leave things to chance, to dealing with an overwhelming number of choices, to figuring out how to best communicate with others. 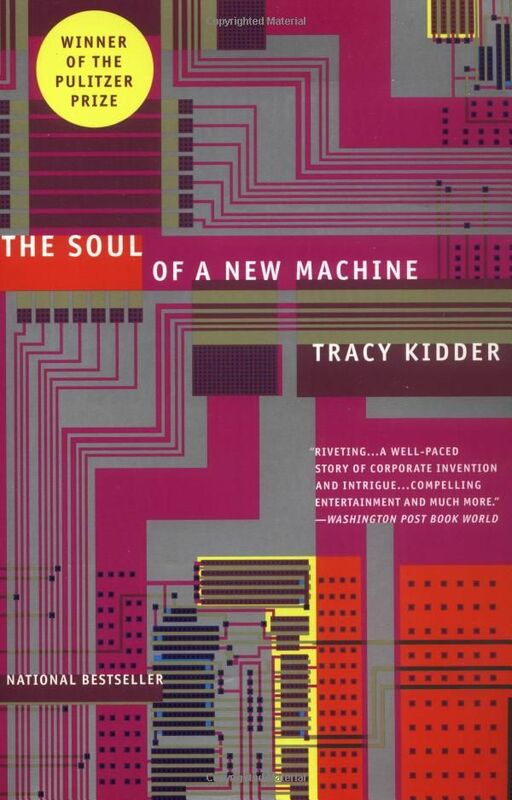 Tracy Kidder’s The Soul of a New Machine is one of the few must-read histories about the world of Computer Science. 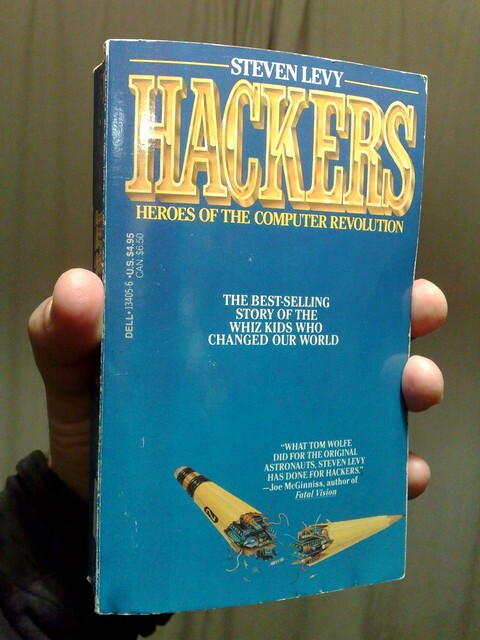 First published in 1981, Kidder’s classic remains one of the most highly regarded books about computers to ever hit the shelves. The Soul of a New Machine carefully recounts the drama, comedy, and excitement of the early years of computers, at the time when there was but one company making the effort to bring a new microcomputer to the mass market. Computer Science majors will also appreciate the go-for-broke approach to business that is only briefly referenced here, but has become an approach that so many high-tech companies still maintain. As Hollywood has been asking for years, what happens when machines surpass humans in general intelligence? Will artificial agents save or destroy us? 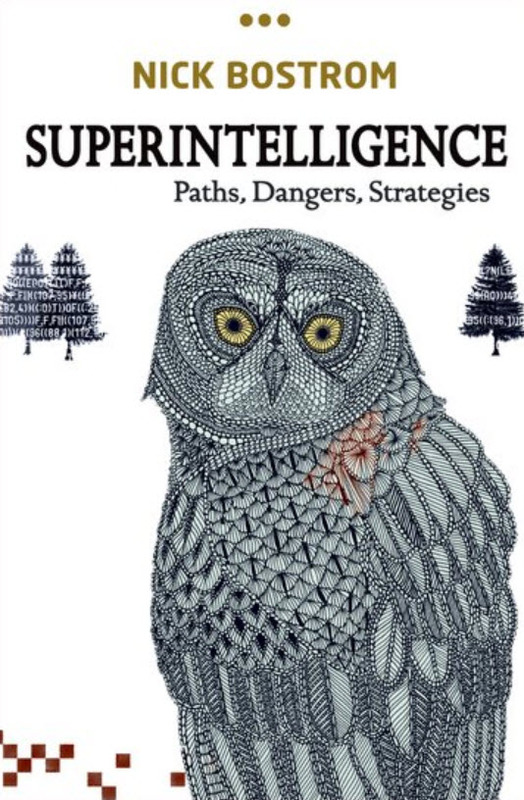 In Superintelligence, author Nick Bostrom attempts to answer that question and others by laying a foundation for understanding the future of humanity and intelligent life. He takes readers on a fascinating journey that begins with thoughts on the human condition and ends with the sometimes terrifying future of intelligent life. Bostrom’s important questions and themes that hinge on morality make Superintelligence a must-read for anyone aspiring to greatness in the world of computer science. In Code, author Charles Petzold asks the question: What do flashlights, the British invasion, black cats, and seesaws have to do with computers? Petzold’s answer is a fascinating look at the way we manipulate language and invent new means of communicating with each other. Complete with clever illustrations and references to familiar objects and events, Code is a great way to further understand — and respect — today’s world of PCs, digital media, and the Internet. In The Chip, T.R. 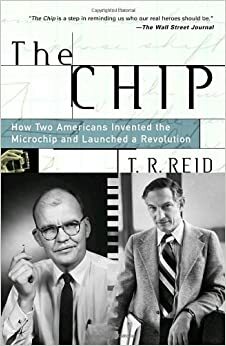 Reid goes back to the spark that ignited the electronics revolution: the invention of the microchip. While a race to create the first chip was well underway at the major tech companies, Fairchild Semiconductor employee Robert Noyce and Jack Kilby of Texas Instruments took it upon themselves to individually create their own versions of the chip. What ensued was a long legal battle about which one had come up with the microchip first. Reid describes the whole story in fascinating detail, though the book was published just as Noyce was gaining fame as the industry’s statesman, and fifteen years after Kilby received the Nobel Prize for Physics. Computer Science majors will surely have heard of Google’s autonomous cars and its thousands of logged hours, or IBM’s Watson, who handily beat the best human Jeopardy! players. In The Second Machine, MIT’s Erik Brynjolfsson and Andrew McAfee reveal the driving forces behind such digital technologies as the Google car, and the reinvention of our lives and economy that comes with it. While simultaneously imagining the dazzling personal technology and near-boundless access held by the future, The Second Machine Age paints a not-so-pretty picture detailing the ways in which industries and professions of all kind will need to adapt — or die. Following the massive success of his Steve Jobs biography, bestselling author Walter Isaacson wrote The Innovators. Isaacson’s carefully researched and detailed book describes a number of people throughout history who have contributed to the computer and the internet. It includes such notable figures as Ada Lovelace, Lord Byron’s daughter, who pioneered computer programming way back in the 1840s; Vannevar Bush; Alan Turing; John von Neumann; J.C.R. Licklider; Doug Engelbart; Robert Noyce; Bill Gates; Steve Wozniak; Steve Jobs; Tim Berners-Lee; and Larry Page. Through its fascinating profiles, The Innovators will go a long way in offering Computer Science majors both a dose of history and a bit of inspiration with which to follow in such innovative footsteps. This tiny, but important, book by the late Donella H. Meadows has been called the “essential primer” for bringing systems thinking out of the realm of computers and equations and into the real world. Meadows compares some of the biggest problems facing the world — war, hunger, poverty, and environmental degradation — to system failures, and declares that like a system failure, they cannot be solved by fixing one piece in isolation from the others. Thinking in Systems offers Computer Science majors a fascinating look at the world in familiar language, and shows firsthand why and how their chosen major can be the first step toward finding proactive and effective solutions to the world’s biggest problems. 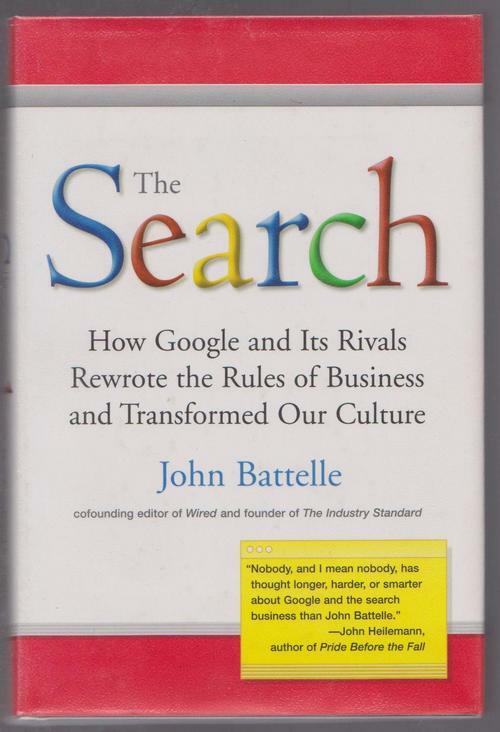 When you search for something on the internet, chances are good that you use Google after immediately thinking, “I’ll Google it.” In The Search, John Battelle describes how Larry Page and Sergey Brin painstakingly battled other search engines, including Yahoo!, to make Google what it is today. Part of Battelle’s thesis is the idea that Google’s database of intentions — the repository and use of human curiosity, desires, and exploration — will prove to be the driving force behind the future of the tech world. To read about more great computer books, head over to aboutgreatbooks.com for 50 All-Time Classic Books About Computers and Computing.